Great thought on the different outcomes. Love the new look! I like this choice. My mind will not let me believe in transcendence but it also tells me that there are possibilities beyond its reach. 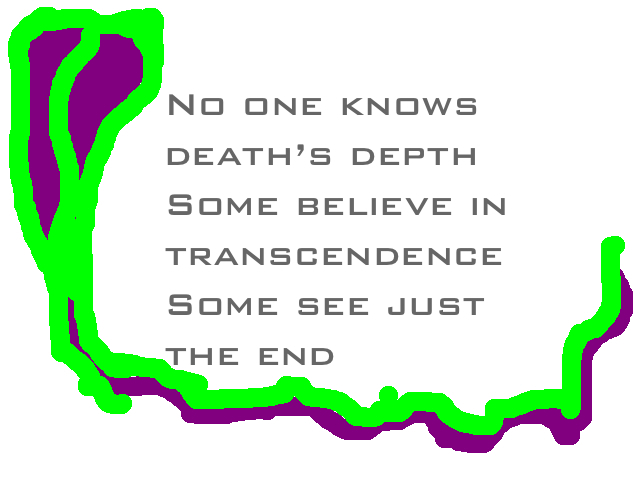 Death as the end is not troubling to me. I have no memory of myself before the instant of my birth, so returning to that state is not a fearful prospect. Thanks for commenting, Bob. As I’m already into over 200 haikus on the theme of death, I appreciate receiving other people’s thoughts and feelings.